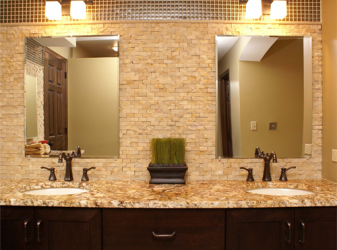 Schmidt Architects, LLC provided permit, bid & construction drawings for a client to remodel her 30+ year old master bathroom. 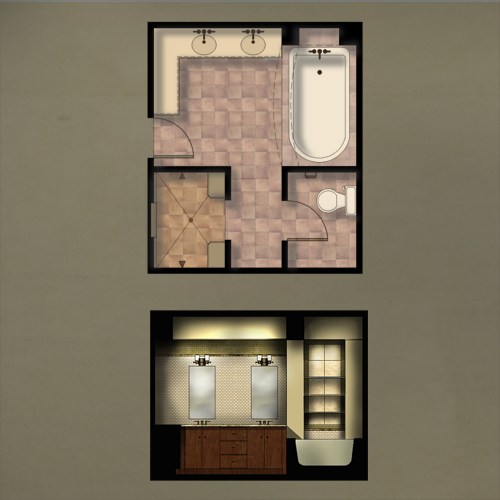 The owner wanted an updated look as well as a more efficient layout while keeping the overall size of the space unchanged. 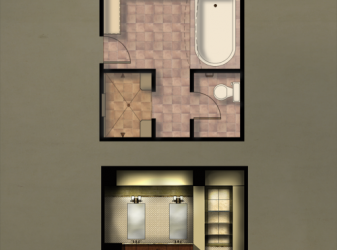 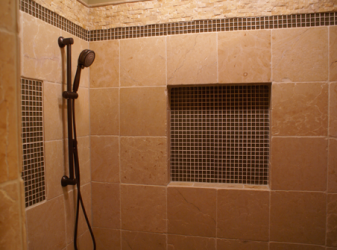 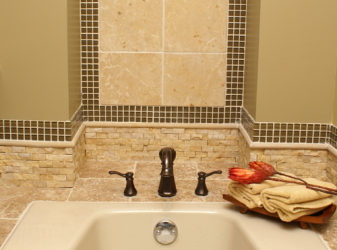 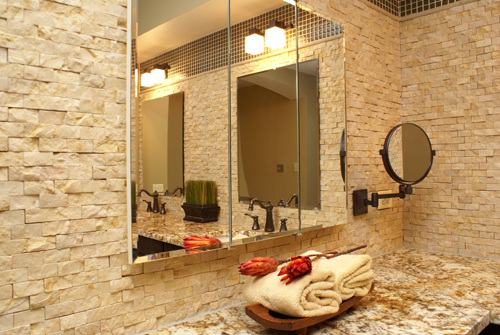 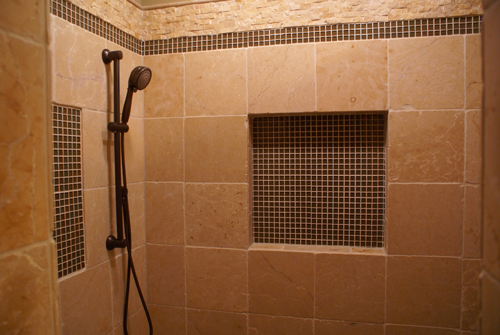 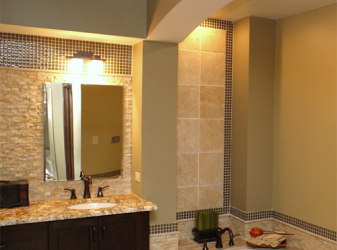 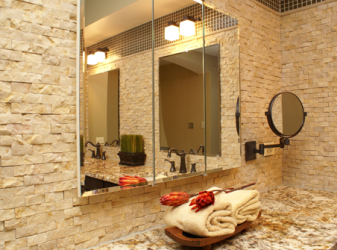 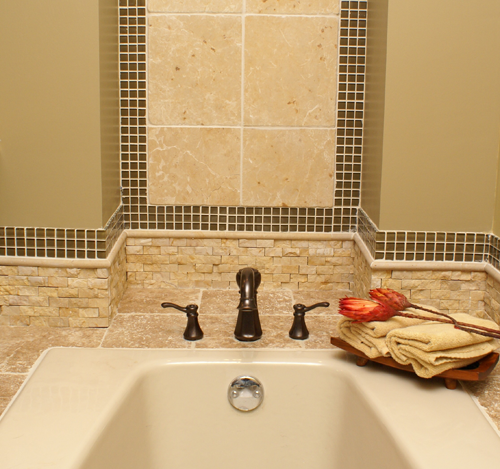 We designed a new walk-in shower sink & counter, toilet room and alcove area for the existing soaker tub. 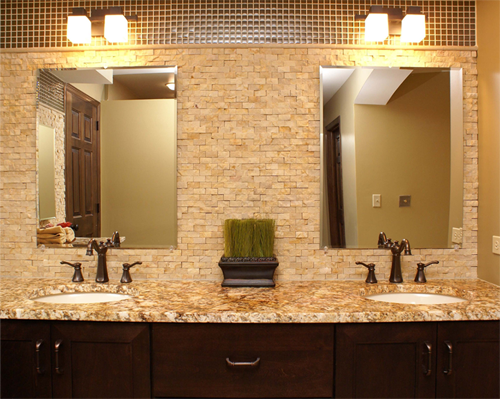 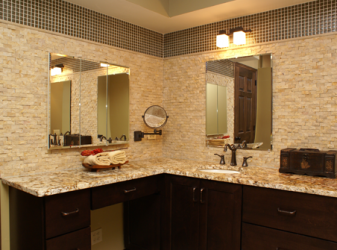 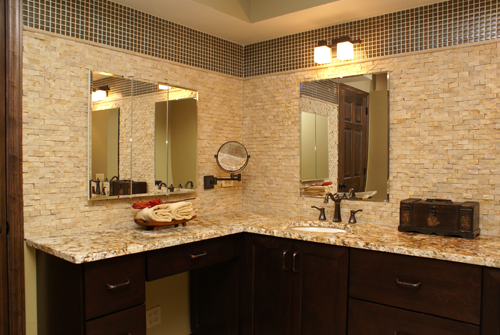 New lighting was introduced along with updated hardware, faucets, flooring and wall tiles. 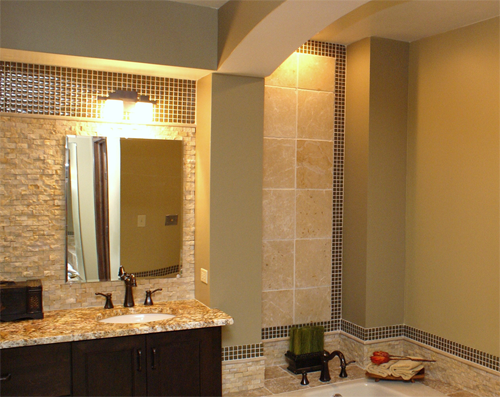 Finishes selected by Schmidt Architects, LLC.